Dr. Munn is an emergency and anesthesia trained physician based in Mont Tremblant, Quebec, Canada. 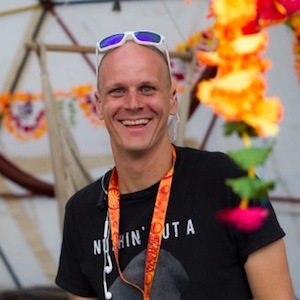 He has been involved as a volunteer and medical director at music events and has a particular interest in the interface between harm reduction services, medicine, and critical care at multi-day festivals. He has been known to defend Houses of the Holy as the best Zeppelin album. The presentation will include a review of what is known from the literature about music festivals and the use of recreational substances at these events, followed by a review of key concepts for consideration in planning for these events from a mass gathering/directorship standpoint and the rationale of their importance.